For this weekend, I thought we would stay here . . . it’s my 500th post, and I’m giving away a Blush Layer Cake to celebrate!! Ella, Emmalie, Sophia, and Owen’s kitty’s – notice Owen trying to get his back? At breakfast I asked Ella if I could make her a kitty. I told her I knew it wasn’t the same as a real kitty, but would it help? Her face lit up a little, and she agreed. That led to all four of the kids picking fabrics for their own kitty, and just before bedtime, I finished closing up the seams. They all helped to stuff them too. I will select a winner for the Layer Cake on Tuesday, the 27th – Good Luck! Oh-I'd take those kitties any day! I have allergies, too! Love to win your fabric-500 posts is quite a milestone! Congrats on the big 500! Congrats for your 500th posts!!!! Too cute! I may have to make one of those kitties. Kitty stuffies are the only way to go around here. All three of us are allergic. I am a follower/stalker of your blog. Love the kitties, they're extra cute, I became your facebook fan, yay for you!!! I've been subscribed for quite a while now read your posts via Google Reader. But now signed in as a Follower. Five Hundred is a whopper of a number of Posts. Congrats – lots of words and thoughts. I love these kitties, they are just too cute. Also think the Blush Layer Cake is yummy. Congrats on your 500th post!!! Congratulations on your 500th post! Sew on!! I'm a follower of your blog. Thanks for your generous giveaway! Congratualtions on your 500th post…they add up quickly. Great layer cake giveaway! Those kiddies are super cute! Thanks for the giveaway, and congrats on 500 posts. Happy 500th post! Thanks for the giveaway! I'm allergic to cats too. Those are very cute! Dying at the cuteness of the cats! Adorable! Congrats….Love your blog and your creativity inspires me!! Congrats on your 500th post, I love the kitties!! Congratulations on your 500th! Your blog is very inspiring. I'm always excited when you pop up in my reader! I'm a facebook fan too!!!! I am a fan on fb!! Please enter my name in the drawing Amy! Love the recent changes you've made to you blog. I'm a long time subscriber to your blog! Those kitties are the only way I'd let one in my house, too cute! What a great way to keep the kiddos happy. that's my kinda kittie – I'm more of a dog person, but those fellas are cute! Love Blush! I fololow your blog – is that the same?? Never miss a post! Love the kittys and I'm glad that their is a hand in the photo to get some perspective as to how big those babies are! I'm sure they will be well loved. And Congrat on the 500….goodness girl…I'm on about 54…I have a lot of catching up to do! 500th post??? Wow! I'm a follower! I love the little hand trying to sneak his kitty away! Congrats on 500 posts! 500 posts…congratulations! Those kitties are sure the cutest. Thanks for the lovely giveaway. I am now a follower…thought I was, but I wasn't!! Congrats on 500! I'd love to win the layer cake. I have a new quilt in mind just for Blush. The stuffed kittens are adorable! I like the way you changed the facial features. Thanks for providing the link to the patterns. I had never seen them before and will go back to look at them. Psst – does anyone really wear those fabric necklaces?? I have been a follower of your blog for awhile and I enjoy it. I love the kitties. Congrads. on your 500 postings. Congrats on #500! I LOVE the kitties! I think those will go on my list of things to make in the coming months. Congrats on #500! You have a great blog! Congrats Amy!! That is soo cool! Wow Amy – 500 posts!!! How do you do it all? Cute!! I hope I win!! Oh ya, I'm a facebook fan!! I'm already a follower …and love your blog. And yes, I subscribe to your blog!! Way to go on your 500th post! And here is to another 500! Congrats on your 500th post. I enjoy your blog very much. Love the blush layer cake! Yay! 500 is a lot! I love your blog too! Those kitties are way cute. I'm going to go look at the pattern. I'm a follower!! Love your blog!! Holy cow look at all the comments, lol – congrats Amy on 500 posts! Love love love your little kitty's, what a great mom thing to do. I love kitties. We "adopted" a stray last year for a couple months but had to find him a home because of allergies. We still miss him!! Great giveaway. Congrats on all that creative blogging! Congratulations on your 500th post. Thanks for the giveaway. The kitties are so cute. I like the smiles. Awww, what a sweet mom you are! Seriously, I got a lump in my throat. Cute kitties (and Owen's fingers)! Yes'm, please enter me in your drawing. I just put you in my facebook "likes". Congrats on your 500th post. I'd really like to win this! You are in my reader!, too. Congratulations on your 500th post. Your blog is absolutely delightful! I follow your blog with great delight! I follow you on Facebook. I'd actually follow you anyplace! congratulations on 500 posts. thanks for a chance at the layer cake! Congratulations on your 500th post! The kitties are really cute! Sharonj. I am also a follower, thanks Sharonj. Congratulations on reacing such a milestone. Looking forward to the next 500. Congratulations on reaching 500 posts, Amy! I'd love to win that Blush layer cake. Thanks for counting me in. Congrats on 500 posts!! Those little kitties are too cute. I subscribe through google reader. And one random thing — the picture on the label reminds me of Watcher in the Woods. I just saw those kitties yesterday while perusing her free patterns! (I'm looking for a loose fitting tunic pattern for myself – know of one?) They turned out really cute! I love this blush fabric. So pretty. you are one awesome blogger and friend!! Fun kitties Amy- Congratulations on your 500th post. 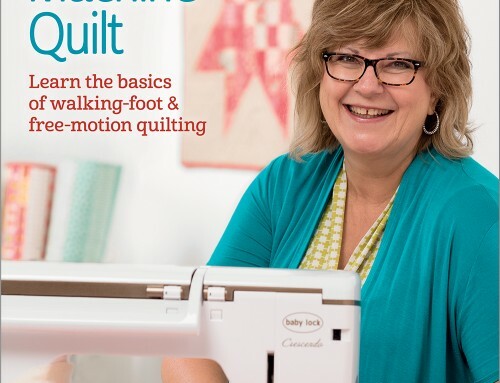 Hope you continue to enjoy blogging and quilting for many years to come. I'm a fan on facebook too! Congratulations on your followers! Thanks for the giveaway! Congrats on 500 posts!! I love Basic Grey, fell in love with it when I was a scrapbooker, love it even more now as a quilter!! Happy 500th post Amy! Adoring those kitties. Great giveaway too. Look forward to reading more of your blog in the future. Thanks for the chance to win! Cute kitties and thanks for all the inspiration. I'm already a follower of Amy's Creative Side. Of course I am a follower !!! I have followed you on facebook for awhile now! I have been a subscribing member to your blog for around a year and half! I love those Basic Grey fabrics, and their papers too. Congrats on your big post day. Would love to win this layer cake, it is so pretty. Thanks for a chance to win the great treat! Congrats on your milestone! I am a follower of your blog! I've been checking it out for quite some time. Thanks for all the hours you put into your blog to make it so wonderful. I'm now an official fan of your facebook page. Love your blog, Amy! The kitties are really cute and much less hairy than the real deal. Thanks for the great giveaway! I am also a happy follower! Those kitties are so adorable! Amy! Congratulations on your 500th post! I've just gone over 300 myself and I feel like I've said so much…500 is just an amazing number! Here's to the next 500! congratulations on hitting another milestone–you're halfway to 1K!! I'm not a facebooker but I do already follow! kitty's are so cute I think we'll be making one soon. just 'friended' you on Facebook. Boy, that's really difficult for an English teacher to say!! Oh oh, pick me, pick me! Cute kitties! You know it's good when the kid is trying to take it back! And awesome giveaway, congrats on 500 posts! Your kitties are darling. Congratulations on 500 posts! I am now a facebook fan! Those are the best kitties to have. Very cute and adorable! i dont know if my comment went through but I am not a 'fan' on facebook although they now changed it to "like" for the Facebook Pages (i liked 'fan' better). :) Anyway my name will appear as Jackie-Levi Davis :) heehee yes hubby and I share FB, he will never get on it. now i will keep up with you there! Did anyone else realize they changed "become a fan of…" to "like…" ? Oh and you know I follow your blog. Crossing my fingers for that layer cake, and congrats on the posting milestone! no i dont see my comment but i saw my FB Fan post.. so this will be my comment.. HEY! :) Love the cakes, yum! your blog is very beautiful too, love the layout and design! I am a follower via email sign up, I am verified and all too. I love the kitties! What a fantastic solution! I also chage patterns and recipes to suit my skill/taste/lije too! Why not! 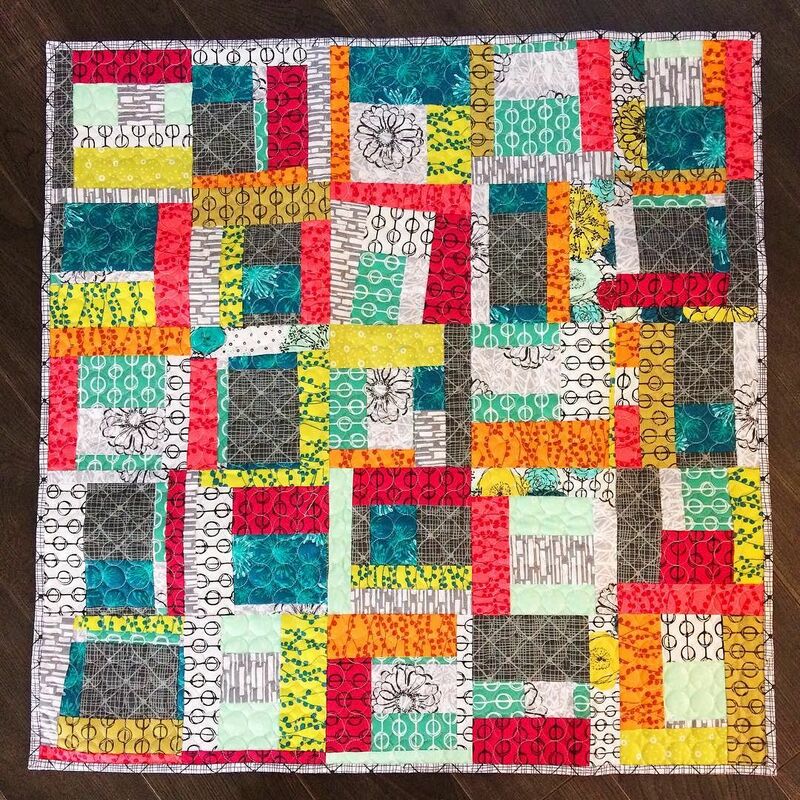 Awesome referral to Amy Butler, I went over there and have missed some of her free patterns! YEAH!! Beautiful fabric and those kitties are adorable too! What a blessing for your children to have such a clever and devoted mommy! Love your blog. You inspire me. Enjoy your blog. Congrats on reaching 500 posts milestone. Would love the layercake — such a pretty fabric line. Thanks for the chance. I have 11 outside cats I feed/trap/fix, so don't think I need to make any stuffed ones. Those are darling for your kids. Would love to have this layer cake! What fun to have a mom who can just whip up a whole kitty family when you want one! The giveaway is lovely. Thanks for the opportunity! I am also a follower. Thanks again! OH how lovely, I love layer cakes. Congrats on the anniversary, I love the kitty's!!! I'm so proud of myself! i sucessfully put you button on my blog!!! YIPPY!!! All by myself, I'm like a little kid learning to to tie there shoes. I've tryed it a thousand times to place the bottuns for stuff and aobut 2% of the time it works. Happy 500 Amy, it does come around quickly! I follow you on bloglines, too. Congratulations on the major 500th post anniversary! Gorgeous layer cake. Thanks for the chance to try to win! Who doesn't love a little blush. Thanks! Oh my, I have had my eye on blush for a while now. Would love to win this and make something really pretty! 500 happy wishes your way! Thank you for being such a great inpiration. Already a follower (entry #3). You have a great blog and thanks so much for hosting such a fun giveaway! Those little cats are so gorgeous. Congrats on your milestone post too. Wow, 500 posts !! Congratulations Amy. 500 blogs – quite an achievement – especially when they are always fresh and inspiring! Wow 500 posts congratulations – I love your blog. Congrats! I love to keep up with your posts. Thanks for all your sharing and of course the lovely give away! Congratulations Amy, on the anniversary! I already subscribe to your blog in my Google Reader. Congrats again, and thanks for the giveaway! Awww, I love the kitties. Congratulations on 500 posts. I love reading your blog, you always have something interesting to say! Congrats! Cute kitties. Thanks for the chance to win. Very cute kittens, I'd take those over a real one. Congrats on 500 posts, amazing. congratulations on your 500th post, The kittens are cute, and these are about the only type I could be around because of allergies. Congrats on 500, Amy! The layer cake is a great way to celebrate. Thanks for the chance to win. I follow you in my Google reader. Thanks for another chance! Happy 500th! Love your blog! Please enter me to win this beautiful layer cake! I'd love a chance to win the layer cake, thank you! And I'm already a follower, thank you! Who couldn't use more fabric? Thanks for the great giveaway! Congrats on the 500 posts. I joined your page on facebook! I follow you on bloglines! Thanks for the chance to win something so great! I added you on FB and I already subscribe! 500 posts! Wow! And a layer cake is a great prize, my fingers are crossed. Those kitties are great, and I see by the little hand in the pic that they are a great size. So cute! I am already a follower! Love the blog! Great Kitty's, facebook fan, and follower!! Happy 500th Post Amy!! Thanks for bringing us all together! Congratulations on your 500th blog! Wow, 500 posts is quite an accomplishment! Congrats! hello and congratulations! Please enter me in your draw and thanks for the chance to win. Congrats on the 500 posts! I am in love with this fabric line, so would love to win this layer cake. Congratulations on your 500th post. Great milestone. Thanks for sharing your talent! Way to go on your 500th post! Very nice giveaway! I have a charm pack of this that I have been making into a table runner. It just might have to evolve into a lap quilt if I win! Long time reader, new follower! Congrats on 500. You are amazing. What a yummy prize. Thanks for a chance to win. Congrats! I feel honoured to have been here from close to the beginning. Love your blog. Way to go on 500 posts! Wow 500 posts that is quite a milestone. Thanks for the fun! I already subrscribe. I enjoy your posts a lot. Congratulations on 500 posts!! WOW! That is really something. I love reading your blog, you always have so many different things to read about, it's wonderful! I already follower your fabulous blog too! Thanks for the chance to win something fabulous! Happy 500th! I just looked and posted my 100th on Friday! Thanks for the giveaway chance! Congratulations. I just love your blog. I have been following for quite awhile now. Wow! 500 is quite the milestone. Congratulations. I'd love a chance at the layer cake and know just what I would do with it. I can vouch for how awesome that layer cake is :D I'm sure I could find "something" to do with it! Congrats on 500! That's awesome! Oh what a great giveaway…..
thanks for another chance to win :0)! can we ever have too much yummy fabric? Congrats on 500! Those kitties are adorable! Thanks for the fun giveaway! I think I am a fan of your FB page but have added you into my fav page. Anyway, I hardly go into FB nowadays. surprisingly i have not followed you but have put the url onto my google reader. Hi Amy, love the kitties, they are adorable.. Thanks for the generous giveaway. Oh, my goodness. So many comments from so many readers! Congrats Amy, from another Utahn. Blush is my favorite new line. I'm also a follower of your blog. Thanks for fun reading. Congratulations, Amy, on your 500th post! Wow, what a ride it's been. I love all the thoughts and inspiration you share with your readers. Congratulations on your 500th post! Thank you for sharing your milestone with us with your giveaway. The kitties are adorable and I have 3 granddaughters who would each enjoy receiving one if I win the cake. Thanks for your inspiration. I'm a fan on facebook, and left a comment there too. Forgot to mention your kitty collection is adorable. I made one of those a couple years ago – such a fun project! Happy 500 Amy! Seems you are always hosting a giveaway of some sort! Keeps the blog active and thriving. Take care. Thanks for the chance to win "Blush". My verification word is ternenni–almost tyranny. Those words always amuse me. I subscribe and follow your posts through Google reader. Both the new site and the old one. I need to get that straightened up. I love stopping by to see what new project you hae going on. thanks for blogging. I love the kitties. I too am allergic, but love them! I already subscribe to your blog, and LOVE it! 500 posts….I know that is a lot of writing :) I past 500 during the Anniversary Celebration. Hard to believe we have written so much ay? You have a wonderful blog and I look forward to 500 more posts!!! congrats on your 500th post. I enjoy reading your blog. I can't say I've read all of your posts, but most of them! The Blush fabric is really pretty. I also like the cats. I will try to make one for my granddaughter. Thanks for the giveaway. I'm now a fan on Facebook. Congratulations on your milestone!! Wow, that is a lot of posts! Thanks for the chance to win. I love blush and a layercake of it would be fab! 500 posts! Time flies! (I think I have 20…) I'm a blog follower and a Facebook follower. Will post/comment for those too! Fan on Facebook, too. Looking forward to the next 500! Don't know what number post I started watching your blog, but I always get a kick out of your posts. Oh, it was the Bloggers Quilt Festival last spring! Congatulations! I love the layer cake too! I love the kitties and the fabric give away! I'm a follower, too. Would love to win the fabric. Congrats on the 500th post!! I now follow you on facebook! I have now subscribed to your blog! You are also on my blog list! I still miss your playlist Amy! Congratulations and thanks for the chance. Well, 500 is a bunch! You have shared creativity and shown us perseverance. Thanks! Actually, at the moment I am subscribed twice! Love the Blush collection. Thanks for a chance to win a layer cake! Just became a blog follower, congratulations on your 500th post! Thank you for this giveaway. I enjoy your blog so much. Became a fan of your Facebook! Happy 500 Amy, love reading your post everyday. I have been a subscriber, now I'm a follower and you are a fan on my facebook. Looking forward to many more post. Hum something is going on, I already posted and it is asking me again. Love your post, I am now a follower already a subscriber and you are now a fan on facebook. Keep up the great posting. Congrats on 500 posts! I am already a subscriber to your blog and I just signed up on Facebook! Great giveaway! Your work is just darling, so glad I found your blog. Gorgeous fabrics! Please throw my name in the draw! I "like" your blog! Become a fan seems to have disappeared – bummer! Congratulations! Here's to the next 500! And thank you so much for yet another great giveaway! The kitties are so sweet. What a nice Mom! love to enter your giveaway…happy 500posts…blogging is fun and I love stopping by your blog! I subscribe…and love stopping by. Those kitties are super cute! I'm happy to say that I am already a subscriber. I love what your are giving away for this celebration. It would be great to win. Your kitties are so cute! Thanks for sharing them. I love the eyelashes! I've become a fan on facebook. Already a fan in Facebook! The fabric is beautiful. Thanks for the opportunity to win. Amy, that is a lot of posting! congrats! thanks for the giveaway! I subscribe to your blog too! Love to read your stuff! Congratulations Amy! psst – don't tell the other Amy but I like your kitties better than hers! What a great giveaway! And my kids would love those kitties. I may have to give them a try. Hi Amy! Happy 500th! Wow! Layer cake, yummy!! I love it! Thanks for the chance to win and CONGRATS on your 500th post. You inspire me :o). I am happily subscribed to your blog :o). I am a fan on FB :o). Love your blog, I've learned so much from you. Thank you for your wonderful tutorials. I am a fan on facebook, I follow you on Twitter and am a subscriber to the blog. Does that sound like I'm stalking you a bit? I'm not…I just enjoy your stuff so much. 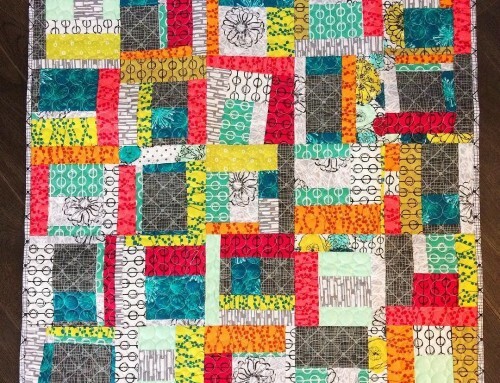 I am a subscriber of your great quilting blog and I love it! I checked out your facebook too and made a comment! Hope to be a winner of that lovely fabric! I'm leaving you a comment and I've subscribed. Congrats on 500! Wow! I would love to win! Congratulations on making 500 posts!!!!!! Congratulations on your milestone!! Love your blog……..
Congrats on 500 posts! Love the kitties, and a great way to compromise. thanks for the chance to win! At this rate you might get 500 comments to celebrate 500 posts. Congratulations! And, thatks for the nice prize: Perfect, whether on a fabric diet or a food diet. Rewards! Yum! Blush is one of my faves!!! Holy comments, Batman! 500 post…you do not disappoint! I am definitely your faithful FB fan! Feeling pretty darn lucky to have found your blog! I look forward to seeing your posts in my reader! Congratulations on 500, lots of fun and inspiration. Thanks! Cute little cats! and congratulations on 500 posts. Those kitties are really cute! and I subscribe to your fab blog! Congratulations on your big 500! that's a LOT of writing – I've followed you for several months now, always a pleasant visit – love the ways you enjoy your kids, thanks for sharing. I'm always amazed when bloggers reach such a milestone! Congrats! Thanks for the chance to win the awesome layer cake, I already have something in mind for it! happy 500th post!!! that's quite an accomplishment! oh…. and i've been a follower of your blog for some time. i'm looking forward to 500 more posts! Congratulations and thanks for the chance! oooh, love blush, what a great way to celebrate! Congrats! Congratulations on 500 posts! That's a beautiful layer cake. …and I follow your blog via my Google Reader. I love the blush line. Basic grey has a great team that puts together some yummy stuff for moda! Happy 500!! Love the Blush line, thanks for the chance. I love that they picked out their own fabric for the kitties. It makes them feel so good to be in the process with you! Congratulations on your 500th post. That's lots of time and work! I really like that fabric line. Thanks for the opportunity to win. And of course, happy 500th post! That's a big milestone. I love the new Blush fabric. Hope I win! Congrats! Think of all the great info you have shared! 500! wow, and I bet you have only just STARTED sharing all you want to with us! congrats!! Congratulations Amy! Loved it all along the way! Way to go!!! 500 is quite a milestone. Congrats on the 500th post! Great giveaway! 500 WOW… I follow you on google reader! I subscribed. I'm glad to find your blog. Count me in – such pretty fabrics to play with! With four boys and Dad in this house, this Mom could use some pretty! I follow you with Google Reader. Hope I am not to late for your giveaway. Congratulations on your blog anniversary. I have been a follower for a while and enjoy reading your blog and getting inspired.